100% cotton, ideal for amigurumis, which comes in packs of 10 different coloured balls of yarn. 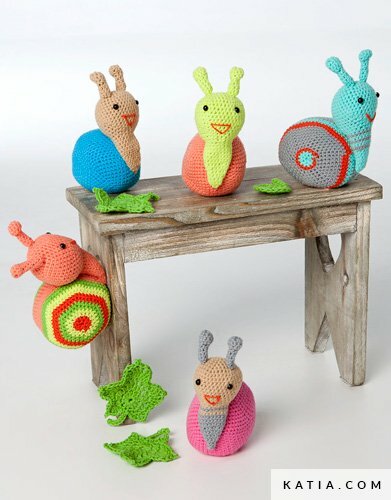 Amigurumi 100% provides variety and comfort and allows that different projects can be made using the same pack. This cotton yarn can also be used to make colourful shawls and crochet accessories. Please go to www.katia.com to download patterns for this yarn.